Designer of this eye-wear noticed that the nose-piece is often quite visible. He prefers a pure form, without ‘extra weight’. He wanted to design a pair of glasses with integrated nose pads, so without adding anything to the frame. He went to work in his atelier and by trial and error he found a way. Out of one thin metal plate he cut a shape in which he already provided a nose-piece. He then bent the nose-piece backwards. By doing so, there is no frame between the lens and the nose. Literary, you get a design that misses a ‘corner’. 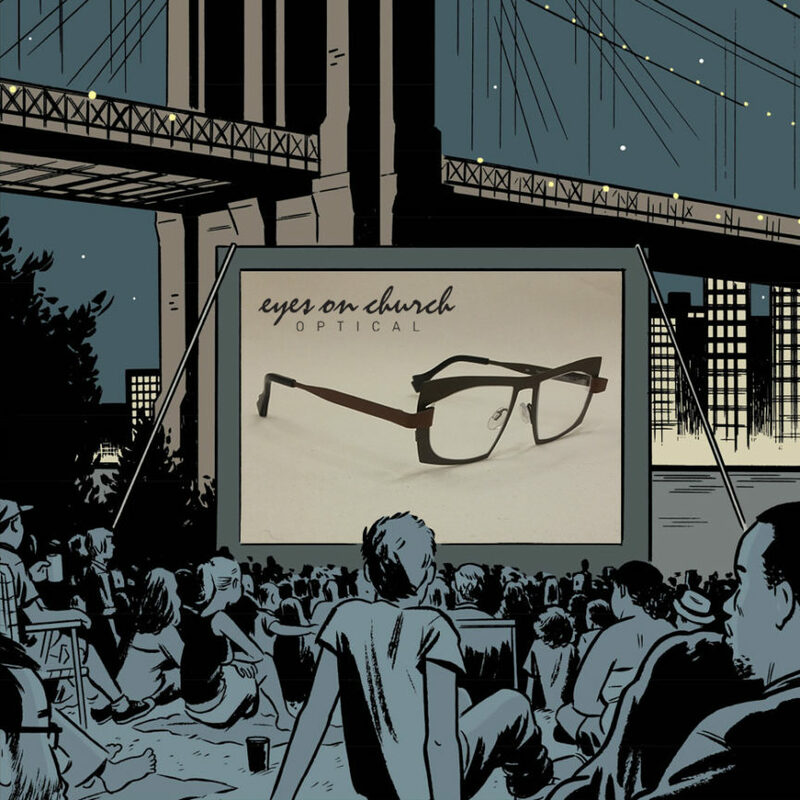 You can find these collection at Eyes On Church Optical.